The Plumbing-Heating-Cooling Contractors of Colorado (PHCC Colorado) represents plumbing, HVACR and mechanical contractors statewide who successfully manage businesses in residential service and new construction, commercial and industrial markets. The Plumbing-Heating-Cooling Contractors of Colorado is dedicated to the advancement and education of the plumbing/HVACR/mechanical industry for the health, safety, and comfort of society and the protection of the environment. 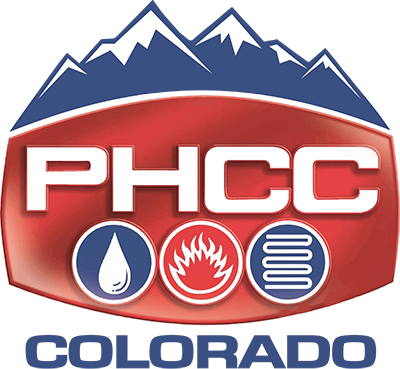 Click here to view the PHCC Colorado Bylaws. By joining PHCC, you become part of a unique network of professionals who share ideas, standards and a passion for the industry. Our members represent the best p-h-c contractors in the state and country. We invite you to explore all of the ways that PHCC works to help grow your business and profession both at the state level and nationally. Check out PHCC membership benefit series videos to hear first-hand, from other professional plumbing, heating and cooling contractors, why they choose to be part of PHCC at the local and national levels.